Chloe's Dream: To Provide support, empathy and understanding from my own personal journey to yours! 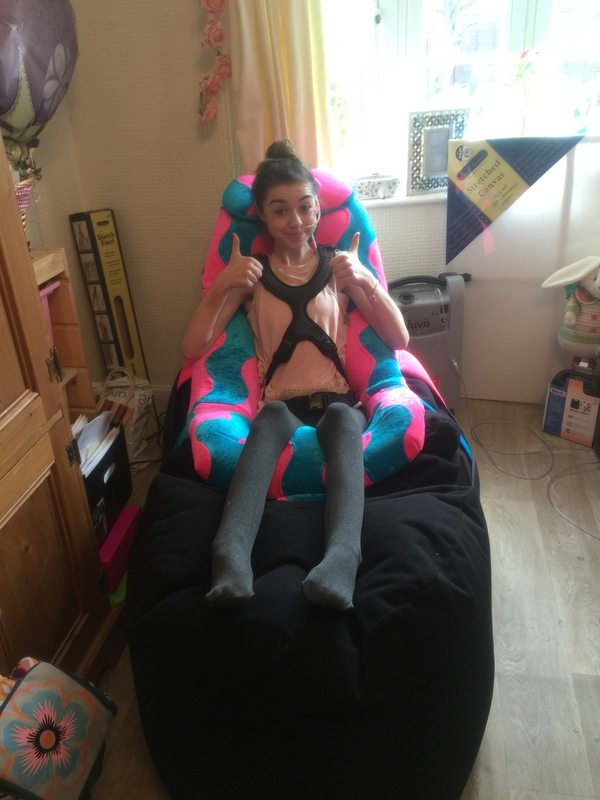 This website was created in 2014 (after a long year in hospital) to aid the vital fundraising necessary to adapt our home for my safety and independence. It became a central point to provide information, medical updates and a place to thank those involved in fundraising. With little help from the council it became clear the funds we needed were not something easily achievable and as my health rapidly declined the worry the build would not be possible was in our minds. Over the duration of 2014 and 2015 I was overwhelmed with the kindness of our local community who put their all into supporting us. I am hugely blessed and grateful beyond words to be able to say that the nightmare we were dealing with was lifted from our lives at the end of 2015, when BBC’s ‘DIY SOS: The Big Build’ chose to help us as a family and turned our house back into a home that was everything we wished for and more! The overwhelming support from tradesmen and companies both locally and further afield to ensure the build was completed and to such a high standard still leaves me with tears of relief and overwhelming gratitude. I now feel this website can have a new focus. I am blessed to have perfect living space for my needs and this means I can channel my limited energy into paying it forward, instead of struggling in limited space to do basic daily requirements. I am passionate about helping others in similar situations to my own, by sharing what I have learnt on my own journey with ill-health. This website will slowly but surely be filled with resources for individuals on a similar journey to my own. I will be writing blog posts related to living with complex medical needs, finances, medical resources, motability, grants and more! Whether it be downloadable resources, advice on products, help videos or something new my aim is to help...YOU! This website will also remain somewhere I post updates on my own health and wellbeing and points I feel passionate about. I will keep you up to date with the projects I work on and the ways I chose to work hard to create change for young people with ongoing complexities similar to my own. Chloe's during a recent stay in hospital, setting up her IV infusions. Follow the link to learn a bit about me and what I am passionate about! For printable resources and practical help for living with chronic illness/disability, please click on the link below.